When you need the best garage door repair company in Cypress for your home or business, Action Garage Door is here to help. Our company has received A+ accreditation from the Better Business Bureau and has earned a strong reputation for our exceptional services. No matter what make or model of garage door you have, we have the skills, tools and parts to fix it. We carry openers, rollers, cables and more for all different garage door makes and models. Whether you need same-day service or emergency repairs, our technicians can assist you. Give us a call for more detailed information on our repairs or to request an estimate. For 30 years, Action Garage Door have been helping customers with their custom garage door repair in Cypress. When you want the best in garage door repair and other services, you have to turn to the best. For years, we have been providing residents all over Cypress with the garage door service they need to have their garages in the best working order. 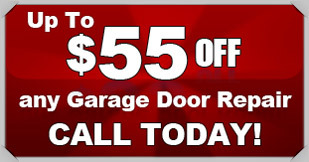 When you need garage door repair Cypress, call Action Garage Door! As a garage door repair company that is committed to customer satisfaction, nobody beats Action Garage Door. Our family-owned business has been satisfying customers for three decades and we are waiting to help you find the services you need for your garage door in Cypress. You can always count on our products to withstand extreme weather conditions and for our work to comply with all local regulations. At Action Garage Door, we understand you have many needs when it comes to garage door service. For this reason, our garage door service goes way beyond simple repairs. Some of our services include garage door maintenance, garage door opener repair, cable repair and much more. Garage doors help keep vehicles secure, so it’s crucial to have one that is in good condition. When you have an older garage door, don’t wait for it to break down due to wear and tear. 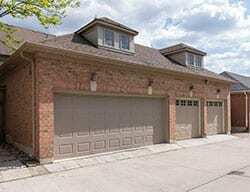 Action Garage Door provides top quality garage doors for residential and commercial properties in and around Cypress. Our highly skilled technicians can help you select the perfect door for your property and take care of installing it. We offer free estimates on new doors and openers, technicians with background checks, and A+ accreditation from the Better Business Bureau. No two home or business owners are alike, and our garage door repair company understands that no two will want the exact same garage doors and set up. 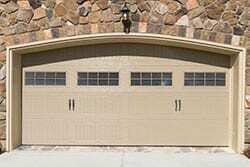 At Action Garage Door, we offer a variety of garage doors for installation in Cypress homes and offices. Some of our options include, Carriage House, Olympus, Classica, Stratford/Heritage, and Amarr garage doors. 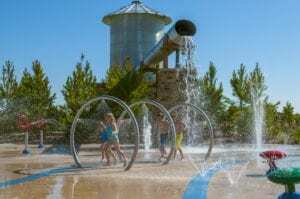 Cypress, TX lies in the northwestern part of the greater Houston area. This unincorporated community, which has a population of 122,803, is located about 27 miles from downtown Houston via I-290. Cypress is among the top 100 urban areas with the highest income levels in the U.S. The median household income in Cypress is $98,191, while the income per capita is $40,237. Major employers in Cypress include North Cypress Medical Center, Cypress Fairbanks Medical Center Hospital and Cypress-Fairbanks Independent School District. The cost of living in Cypress is a little higher than the average cost of living for the entire U.S. and higher than the average cost of living in the state. The average home price in Cypress is roughly $220,300, which is significantly higher than the national average of $175,700 and the state average of $131,400. 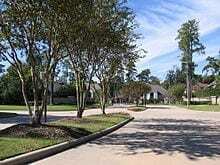 Cypress gives residents a combination of upscale charm, a thriving community and easy access to Houston. The community also has scenic wooded views, prairie views and notable amenities that provide residents with plenty to do. Residents can get to know others in the community at one or more of the area’s impressive golf courses, such as Blackhorse Golf Club or Cypress Lakes Golf Club. Those who enjoy helping out around the community in different ways can ask about volunteer positions with Cypress Historical Society, Harris County Public Library and other local organizations. These opportunities give residents a chance to learn more about Cypress, meet other residents and do their part in ensuring that the community is a strong one that brings people together. Cypress is an excellent place for golf enthusiasts to visit. This community has a number of golf courses available for golfers of all skill and experience levels. Blackhorse Golf Club includes a North Course that features wetlands and lakes and a South Course with stately elm and oak trees. Golfers from out of town can play a round, then stop at Jake’s Grill for a bite to eat. Longwood Golf Club features a course that winds through a dense forested area, making it a bit more of a challenge for the average golfer. Visitors who play on this 27-hole course can work up an appetite and enjoy some refreshments at the on-site clubhouse. Visitors who have an interest in finding out more about the area’s history can visit Cypress Top Historic Park. The Cypress Historical Society offers tours through the park that provide visitors with information on the community’s roots. Visitors can also do their own research at Darline Roth Research Library, which is located in the park. Those who want to attend shows or other events in Cypress can check out the calendar for the Berry Center and make plans to be in town for those days. The Berry Center has several events that take place throughout the year, such as home and garden shows, wrestling tournaments and small business expos. The center also has a basketball arena and football stadium for visitors who want to watch exciting sporting events. For dining in Cypress, visitors can find several chain restaurants along the stretch of I-290 that passes through the community. Guests can have Texas barbecue at Spring Creek Barbecue, a chain that has been part of the state’s dining scene for more than 35 years. Those who want more choices in dining options can head just outside the community’s borders. To get started with your garage door repair, installation, or replacement, contact Action Garage Door in Cypress today and let’s talk about the options available from the garage door repair company that has been caring for customers since 1984. Our technician came in the service window; on time for the estimated pre-call arrival. He was thorough in explaining the services that need to be performed and was willing to work with us for our needs. His work was quick and efficient. We would definitely recommend this company to others and use them ourselves again! 24/7 responsiveness. Prompt and timely service. Great service, Knowledgeable, friendly, and polite. Job well done and fast! Technician was very informative and very professional. GREAT/AWESOME SERVICE AS WELL AS CUSTOMER SERVICE RECEIVED FROM MR. RAFAEL. HE IS AN EXCELLENT EXAMPLE OF HOW TO TREAT YOUR CUSTOMERS. THANK YOU, MR. RAFAEL. Edward was responsive and made an honest attempt to repair the old one before installing the new . Very nice, friendly technician. Prompt, fast service. Good clean-up after installation. Took time to explain the operational details including maintenance and programing. Would use again and request Luis.